FINALLY NO MINIMUMS! You can finally customize a shot glass online without having to order 50 of them! Our customizable ceramic shot glasses make a fun addition to any party and make a cool gift! Perfect for Birthdays, Bachelorette parties or Groomsmen gifts. Makes a unique keepsake. Bottoms up! 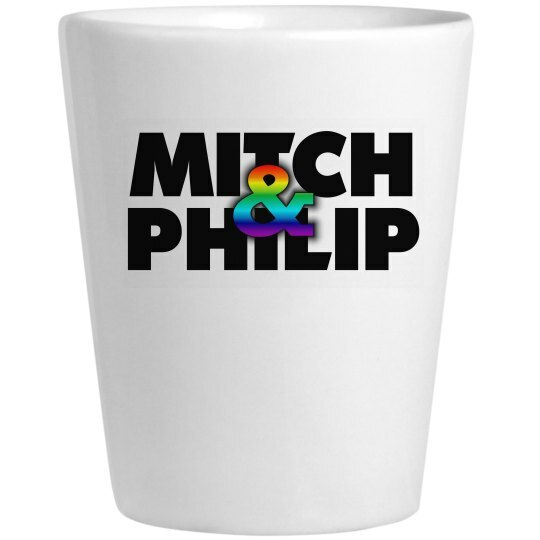 White ceramic shot glass printed with the colorful "rainbow" Kitchen Queers logo.